Centropia is a social response project that is adaptable to the context where it takes place. It is an illusionary new center for an utopian social fabric. Centropia, is an ever-evolving series of art actions; art inserted into the quotidian, relational art, community art, an art that is based in the vo­cabulary of the urban landscape in Latin America. This project adopts various vocabularies, formally and conceptually influenced by the “mestizo-ba­roque” art spread throughout Latin America. Centropia, has different thematic units, each focusing on diverse techniques and subject matter, from militarism and religion to social unrest and social exclusion. Centropia 01 is a project that takes my vision of South American superstructure—militarism as a patriarchal power, religion as a colonial represen­tation, and excess that is represented as baroque, and ultimately as madness—as a starting point. With this trilogy, I created this piece that centers on a book that I found on the street in Santiago, Chile. 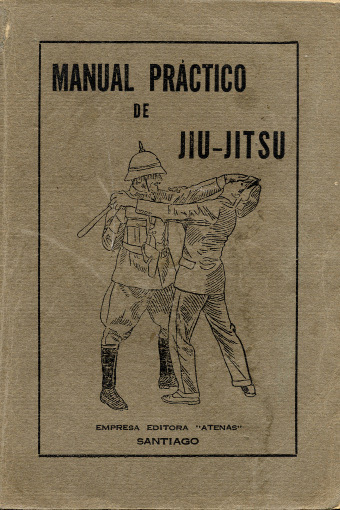 This book was written in the 1960s and teaches police how to control thieves. 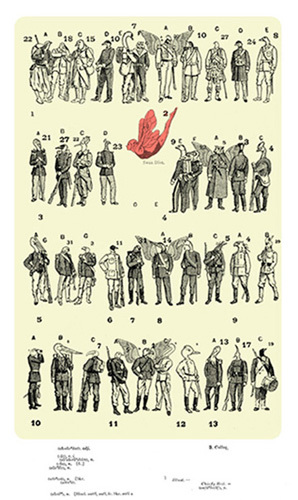 A series of images are made subtracting the thief and replac­ing him with native Latin American animals. 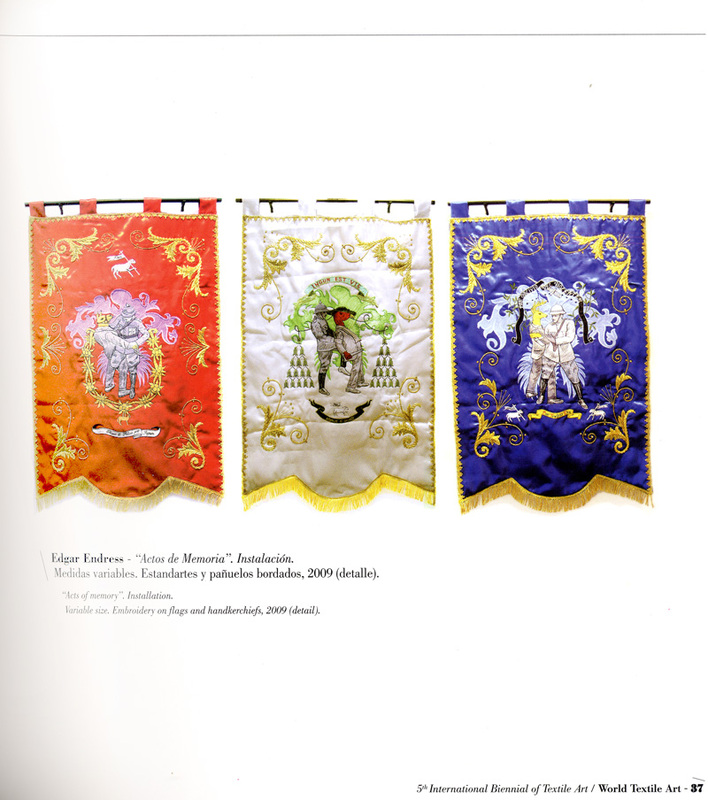 Flags were embroidered portraying these images in the same style as imagery embroidered for Catholic processions. Six monitors animate the struggle engaged in by these combatants.